Lexus has earned a well-deserved reputation for turning out utterly refined luxury vehicles. The hallmarks of this brand are a quiet, well-crafted cabin, a plush ride and commendable performance from powerful, nearly silent engines. 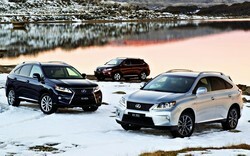 Lexus has quietly amassed a collection of Sport Utility Vehicles and Crossovers to rival the best in the industry. 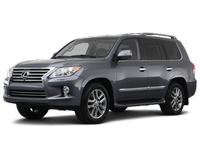 With a firm emphasis on luxury, Lexus SUVs stress quality workmanship, subtle design and refined performance, without sacrificing utility and toughness. 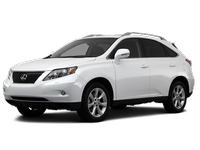 All Lexus SUVs come with a 4 year/50,000 mile basic warranty and 6 year/70,000 mile powertrain warranty. RX is a mid-size Crossover SUV, built on a unibody car platform. Popular since its debut as a 1999 model (the RX 300), incremental design changes and power increases over the life of the model have created a luxurious, manageable Crossover that leads all Lexus models in sales. 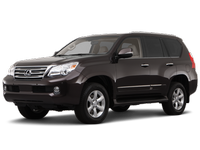 The flagship of Lexus SUVs, the LX 570 shares a platform with the venerable Toyota Land Cruiser. Powered by a 5.7 liter 32-valve double-overhead cam V8 that delivers 383 hp and 403 lb-ft of torque through its six-speed automatic transmission with full-time four-wheel drive, LX carries an EPA estimate of 12 mpg city/18mpg highway.